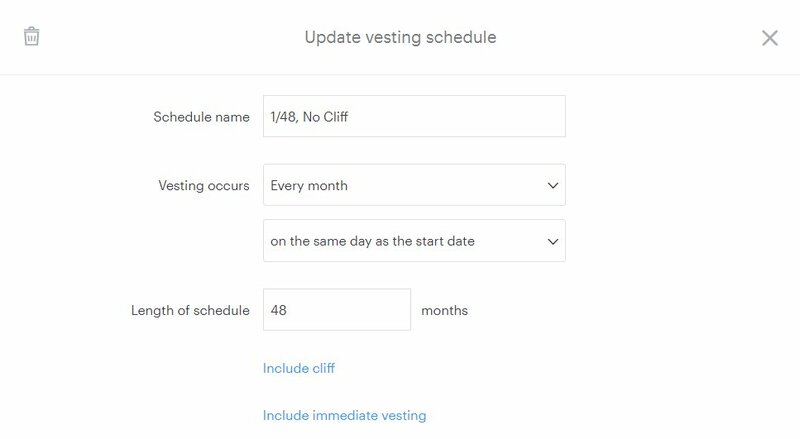 You can manage your vesting schedule templates from the 'Templates' section. 1. 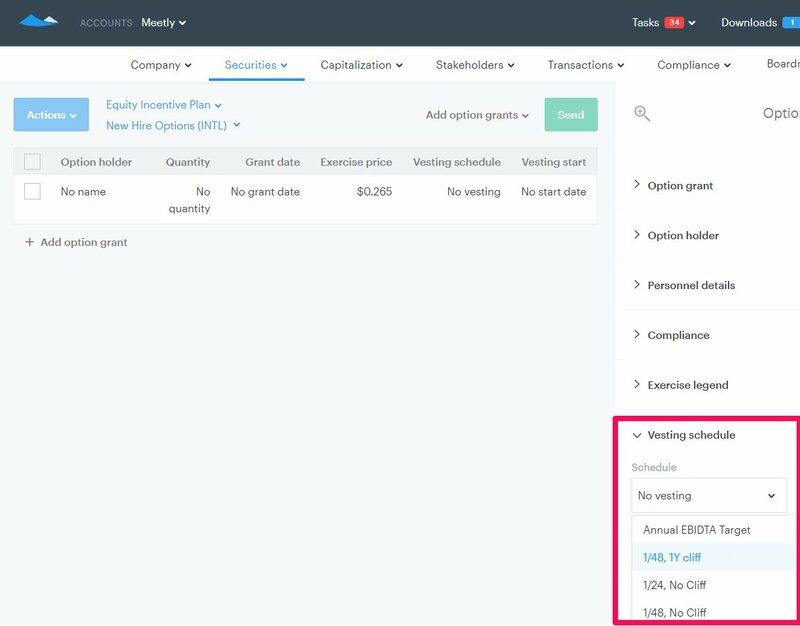 Click 'Securities' > Templates > 'Vesting Schedules' and choose 'Edit' next to the template you would like to modify or delete. 3. The vesting schedules in 'Templates' will be accessible when you are editing a security or creating a draft.